Horrible weather is lashing the southeastern coast of the nation, but that’s not the only place in the U.S. where hurricanes are causing trouble. A few days ago Hawaii was dealing with a hurricane, but you sure couldn’t tell it from the national news: Olivia fades away from Hawaii, but its moisture still tormenting Hawaiian isles. 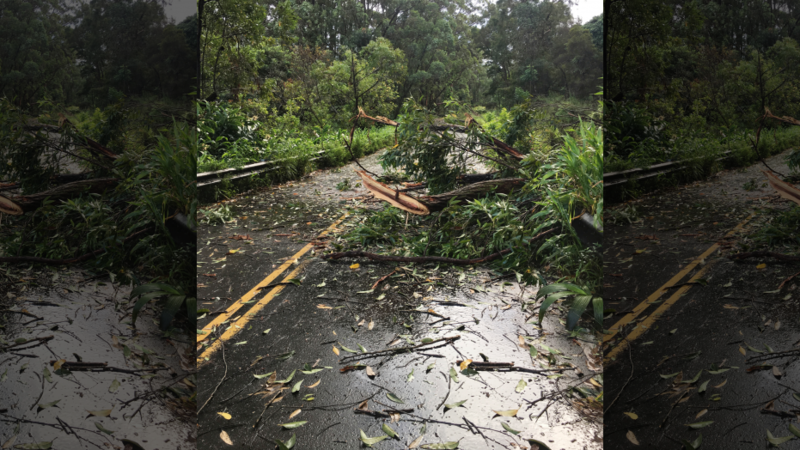 And that’s not the first hurricane to hit Hawaii this within the last four weeks: Hawaii Begins Massive Cleanup from Hurricane Lane. Again, something the big media outlets barely covered. And let’s not forget that a year ago Puerto Rico, which is also part of the United States, was devastated by a hurricane: We Must Push for Better in Puerto Rico Because President Trump Simply Doesn’t Care and Puerto Rico’s road to recovery. 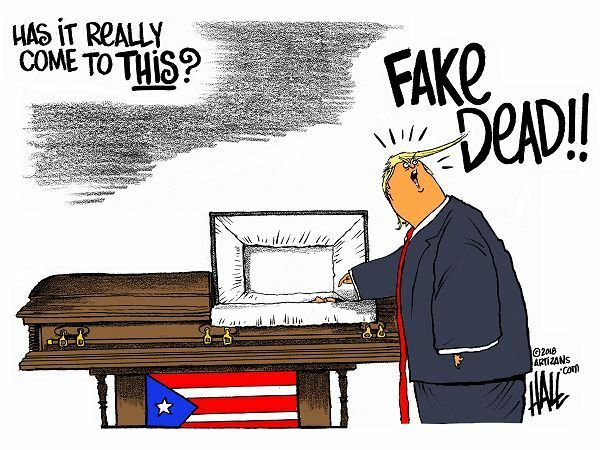 And Trump lied about Puerto Rico’s death toll after Hurricane Maria and Trump’s Psychotic Puerto Rico Tweets Erase Human Beings From Existence for Political Gain. Virginia’s entire Congressional delegation begged Trump to issue a federal emergency declaration for Virginia, which [as of Tuesday, when this story was publish was] more exposed to the destructive force of the monster hurricane Florence than North Carolina, and is likely to be hit as hard as South Carolina. But initially, Trump only offered emergency declarations for North and South Carolina. He completely ignored Virginia. For many, this omission looked very political. Virginia is now a blue state, as Trump very well knows. By excluding Virginia up until just [Tuesday] afternoon, he sent a clear message of how disasters in the age of climate change will be handled by the emergency government agencies he now controls. If you are a blue state, then he is going to treat you in the same way he treated Puerto Rico (over 4,000 dead, no electricity for a year, etc.). If you are blue, you are as good as brown. I already mentioned Olivia (which seems to have downgraded to a tropical depression, but can still pack a wallop), but Florence isn’t the only storm looming: Hurricane Florence isn’t alone: Helene, Isaac, Joyce, Olivia, even a typhoon also out there. Baton down the hatches, and don’t count on any timely help from the feds.